The first time I heard the term “nootropics,” I had no idea what it was. Was this a snazzy tropical drink with a little umbrella? Maybe a new exercise routine? In fact, nootropics are drugs, supplements, or other substances believed to help improve brain function, a major consideration as our population grows older and the risk of Alzheimer’s disease and other forms of dementia continue to grow. They can help improve cognitive abilities such as working memory, focus, attention, and decision-making. Many experts feel that consuming nutrients for any health reason is typically best when they come from food rather than a supplement. One argument for that approach is that although you may be targeting one or two vitamins or minerals in a particular food for its brain-boosting abilities, those nutrients also work in sync with other substances, such as fiber, water, phytonutrients, and amino acids to provide health benefits. Supplements, however, can be a great way to enhance or even take the place of what you can consume as food when necessary. Here are dozen-plus foods and individual supplements that are touted as nootropics. These foods release sugar (glucose) slowly into the bloodstream, which helps to provide you with a steady supply of energy and thus a balanced level of awareness, cognition, and concentration. Remember to include lots of these options in your diet! Blueberries. These delicious blue orbs are loaded with anthocyanins, which have potent antioxidant powers that protect against an aging brain. 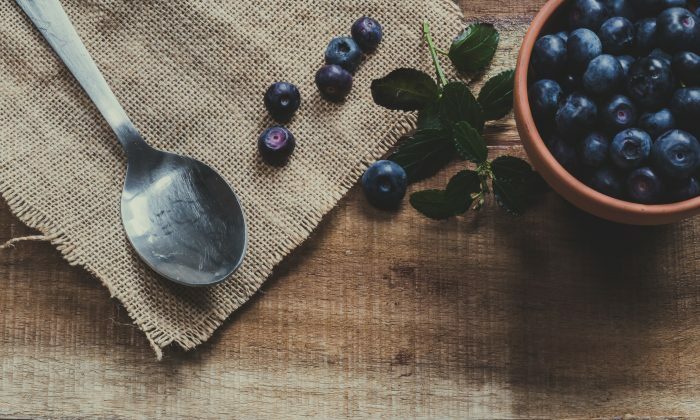 A study appearing in the Annals of Neurology reported that greater intake of blueberries and strawberries was associated with slower rates of cognitive decline. Blueberries beat out strawberries, although both performed well. Dark chocolate. The rich supply of flavanols in the cocoa bean is the special ingredient behind the brain-enhancing power of dark chocolate. Cocoa has the ability to boost the area of the brain (dentate gyrus) where new brain cells are grown and also improves blood flow to the brain. To reap these benefits, you need to consume dark chocolate that is at least 70 percent cocoa. Dark leafy greens. Momma said to eat your spinach, and she was right. Spinach, along with kale, turnip and beet greens, collards, and mustard greens are packed with lutein and zeaxanthin, two potent antioxidants shown to improve brain function. In one study, for example, participants who had higher levels of lutein and zeaxanthin performed better on a working memory test, and their brains appeared to work more efficiently based on functional magnetic resonance imaging results. Eggs. The highly desirable brain-boosting nutrient in eggs is choline, which has a large role in brain cell signaling. Choline also is the precursor to acetylcholine, a critical neurotransmitter for healthy brain function, memory, deep sleep, and learning. Because the body is unable to produce a sufficient amount of choline on its own, you need to get it from food or supplements. The adequate intake for choline is 425 mg daily for women and 550 mg for men. One egg yolk contains 125 mg of choline. Fatty fish. The secret behind the connection between fish consumption and better brain health and function is omega-3 fatty acids. These fats are abundant in certain fish, including herring, sardines, wild salmon, and tuna. The main omega-3s are eicosapentaenoic acid, which is a potent anti-inflammatory; and docosahexaenoic acid, which is critical for healthy neurons. Green tea. Green tea provides support for the brain in several ways. One is caffeine, even though the amount is lower than found in black tea. The other brain-enhancing substances in green tea are catechin and L-theanine. Catechin is associated with better brain function while L-theanine is a cognitive booster that also helps relax you. In a recent review of 21 studies, experts determined that “green tea influences psychopathological symptoms,” including anxiety, brain function (working memory), and cognition (improved memory and attention). Turmeric. This versatile spice has been shown to boost working memory in humans with pre-diabetes. When cooking with turmeric, be sure to include some healthy fat and black pepper in the dish, because they both boost absorption of the spice. If you want to complement your brain food intake, here are the nootropic supplements you can consider. Dosing should be discussed with a knowledgeable health care professional. Choline. The adequate intake is 425 mg daily for women (450 mg for pregnant women and 550 mg for lactating women) and 550 mg for men. The vast majority of people don’t get enough choline. L-theanine. This amino acid is found in green tea and is often used to improve mental performance and managing anxiety. It is sometimes taken along with caffeine for these purposes. A suggested dose is 100 mg theanine. In combination, the range may be 30 to 100 mg of caffeine and 12 to 100 mg theanine. Lutein and zeaxanthin. These two carotenoids (which places them in the same category as beta-carotene and alpha-carotene) are potent antioxidants and helpful in preventing damage to brain cells. As a supplement, they often appear together, in products targeted for eye health, or as part of a multivitamin/mineral supplement. There are no set dosing requirements for lutein and zeaxanthin, but a suggested dose is 10 mg/day of lutein and 2 mg/day of zeaxanthin. Tryptophan. An amino acid that is a precursor to melatonin, niacin (vitamin B3), and serotonin. This nutrient can help with depression, anxiety, insomnia, and memory. Suggested dosing is 2,000 to 3,000 mg daily. Vitamin B12. Critical for the manufacture of DNA, RNA, and neurotransmitters, which are necessary for optimal brain function. The RDA for vitamin B12 is 2.4 micrograms for adults. However, supplementation of 25 to 100 mcg daily is suggested for adults older than 50 because they do not absorb food-bound B12 efficiently. Intermittent fasting can be an effective way to support brain health and function, as well as promote overall health.